How can you prevent a child from developing disabilities? In some cases, one needn't do anything other than adopting healthy lifestyle choices. Giving your child the best possible start in life is an important and proven way to prevent disabilities. Appropriate prenatal care and early childhood health care are key, as some birth defects in utero are associated with developmental delays, emotional and behavioral problems and learning disabilities. Fortunately, many common birth defects can be avoided. Ideally, before you become pregnant, make lifestyle changes that will promote a healthy pregnancy and increase the chances of having a healthy baby while reducing the risk of disabilities. Follow up on your physical examinations before and during pregnancy. Tell your doctor you are planning to have a child and ask for ways you can improve your health to prepare. Losing excess weight, implementing an appropriate exercise program and eliminating unhealthy habits are examples. Discuss any current medications you are taking with your doctor and determine the risks of continuing them during pregnancy. Many drugs affect child development. Paxil, a common antidepressant, is just one of many medications linked to heart defects in infants, as are several common pain relievers. Discuss important dietary needs, such as taking Folate supplements to reduce the risk of defects with your doctor. If you have concerns during your pregnancy, share them with your physician. Include your complete medical history with your medical team to enable them to advise you appropriately. Genetic counseling may be helpful as well. There is no established "safe amount" of drinking during pregnancy, and no single type of alcohol is safer than another, so it is best not to drink any type. Maternal alcohol use can cause Fetal Alcohol Syndrome, a birth defect that causes varying degrees of mental disabilities, behavior problems, and physical deformities. As with alcohol abuse, there is no established "safe amount" of smoking. Smoking can threaten both your life and your baby's. Smoking can cause bleeding that can lead to the death of the baby and of you. Smoking mothers are more likely to have miscarriages and give birth to underweight babies and infants with birth defects. Sudden Infant Death Syndrome happens more frequently in babies of smoking mothers. Smoking has also been linked to learning disabilities and emotional and behavioral problems later in life. Infants and children who live in homes where others smoke have more health problems than those who don't. They have more instances of pneumonia, ear, nose, and throat problems, sinus issues, bronchitis, asthma and lung diseases. Studies have also linked second-hand smoke to cancer in non-smokers. Children who have frequent illnesses and infections affecting their ears and sinuses are more likely to experience delays in language development, impaired early reading skills, and other learning disorders. This can lead to learning disabilities in reading and writing. Any abuse of drugs can lead to physical deformities, mental disabilities, and learning and behavior problems in infancy and childhood. The effects of maternal and paternal drug abuse on children are nearly always disabling to some degree and sometimes fatal. If you or someone you know is pregnant and abusing drugs, the earlier you seek medical assistance, the better. If you are thinking about becoming pregnant but abuse drugs, get help now. See a doctor, be forthright about your substance abuse and follow your doctor's treatment plan before becoming pregnant. Although much of the research and information on substance abuse targets mothers, some evidence suggests a father's drug abuse may also cause birth defects. A healthy diet and the right vitamins are important to prevent disabilities and increase the odds of having a healthy baby. For example, folic acid, a type of B vitamin, has been shown to help prevent Neural Tube Defects, also called spina bifida. Neural Tube Defects are deformities of the spinal cord that can cause mental and physical disabilities. Scientists estimate that as many as 70 percent of spina bifida cases are preventable by taking folic acid. It's important to have your newborn screened for disabilities before discharge from the hospital. Hearing problems are the most common sensory defect. An estimated 1 out of 3,000 children are born with hearing difficulties and deafness. Early speech and language therapy and interventions for hearing impairments and deafness can dramatically increase the chances of successful learning in school later in life. 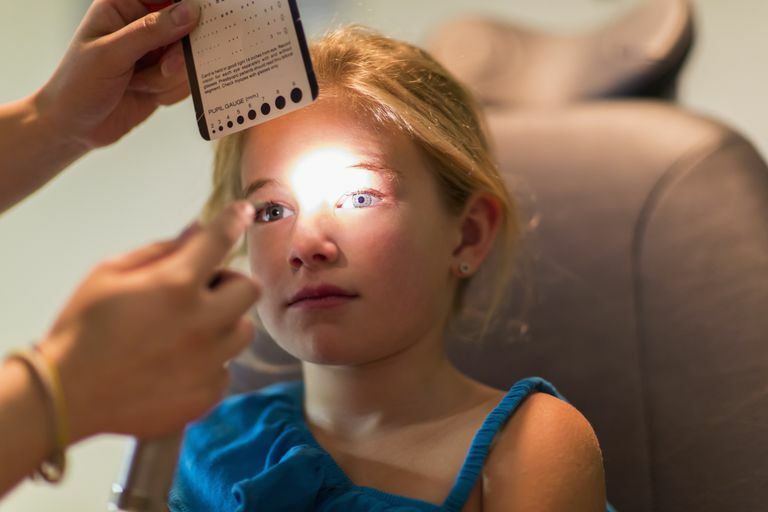 Full eye examinations, not just vision screenings, are important for preschool-aged children. An eye examination involves a diagnosis of physical eye problems, not just a child's visual perception. Physical vision problems such as amblyopia can be treated and sometimes reversed through early treatment. Blindness associated with sexually transmitted diseases can be prevented with appropriate medication at birth. Ophthalmologists typically recommend examining children at age 6 months and 5 years old. Early intervention for vision problems can help prevent learning problems in school. Undetected vision problems can affect a child's ability to form important visual concepts, to read, to write and develop early number concepts. For children with visual impairments or blindness, it is critical that they receive the appropriate services from a qualified early intervention specialist or special education teacher. Visual impairments and blindness affect all aspects of learning and living. They will require specialized instruction for academics, language and more to increase their future success in school and in life. Sometimes despite parents' best efforts, children still develop health problems. These tips on how to prevent disabilities shouldn't be used to point the finger at anyone. They're intended to help parents and caretakers do what they can to curb avoidable disabilities or stop them from occurring at all.